To speak of Deortegas Hojiblanca is to speak of quality and excellence. 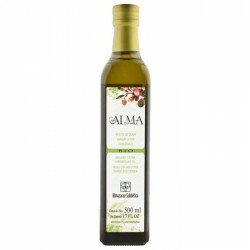 It is one of the ecological oils on the market with greater quality and recognition thanks to the good work of the mill, that takes care of the olive trees in a serious way and in accordance with the ecological sense that bears its name. 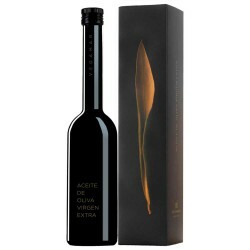 It is an oil that is presented in a box and whose image says it all: elegant and distinguished. 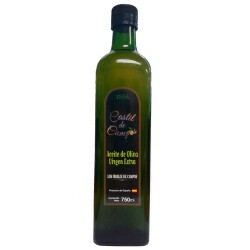 It has an intense green hue, as well as a wide variety of aromas, mostly fruity green like tomato and green plantain or artichoke. Upon entering the mouth, the vegetable flavors can be clearly distinguished with a slight bitterness and itching, finally leaving a characteristic almond aftertaste. 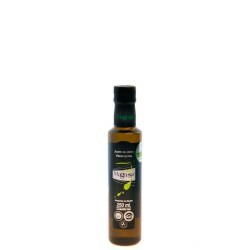 Deortegas Hojiblanca is an extra virgin that provides numerous health benefits as it has a good level of oleic acid and medium in linoleic acid which makes it contain a high level of vitamin E. Besides being an excellent ally for health we love its taste, you have to try it as soon as possible. Highly recommended to use raw. A breakfast with ham toast and a good trickle of one of the best organic extra virgin in the world will make you feel a new gastronomic experience. 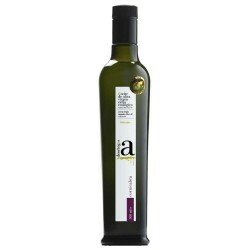 It will be one of the favorite oils!